In this Migration tapestry we see an abstract work in golds and browns. A splintered effect is seen with shards of color and form to create a patterned work warmed with burgundies among the brown and earth tones. 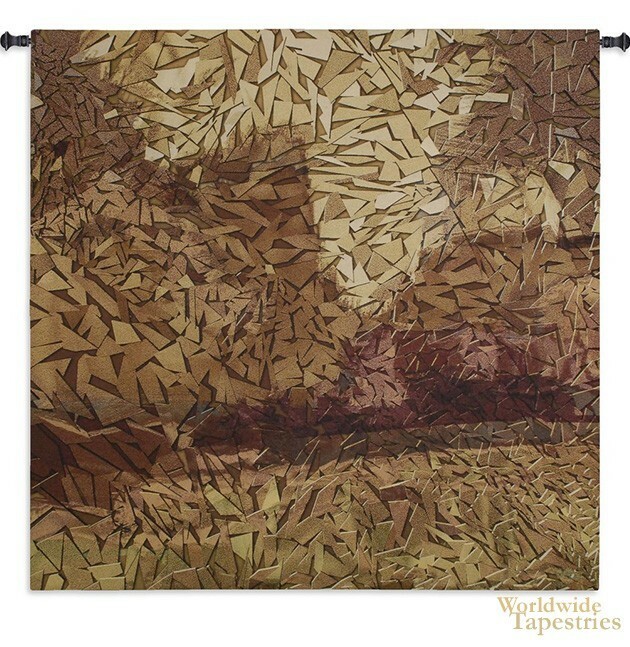 The effect is that of a blurred scene beyond the sharper surface of the scene, like a dual layer effect. . Migration tapestry is backed with lining and tunnel for easy hanging. Note: tapestry rod and tassels, where pictured, are not included in the price.